First, I have always listened to my inner guidance. I listened to what I was interested in and pursued it with all of my heart and soul. I was always willing to let go of where I was literally and figuratively in order to follow my dreams and achieve my life goals. By the time I was 39 I had lived in nine states, attended three universities, built three businesses, taken more than 100 workshops, read over 1,000 books, and listened to more audio programs than I can count. I have always been a voracious learner, and by honoring my desire to increase my own self-awareness, I also discovered ways to help others be more successful in every area of their lives. You were born with an inner guidance system that tells you when you are on or off purpose by the amount of joy you are experiencing. The things that bring you the greatest joy are in alignment with your purpose. Follow the things in your life that bring you the most joy, and dedicate yourself to always improving. If you’d like to learn how to access your inner guidance, check out my meditation tips for clarity and guidance. Second, I was willing to work hard. Because I was passionate about my work. I worked long hours, approached every task with excellence, and devoted myself to never-ending improvement in every area of my work and my life. Whenever you set out to improve your skills, change your behavior, or better your family life or business, beginning in small, manageable steps gives you a greater chance of long-term success. Doing too much too fast not only overwhelms you (or anyone else involved in the improvement), it can doom the effort to failure—thereby reinforcing the belief that it’s difficult, if not impossible, to succeed. When you start with small, achievable steps you can easily master, it reinforces your belief that you can easily improve. Third, I learned early on that life is a team sport. I always surrounded myself with partners, co-authors, and great staff with whom I shared generously. One of the main secrets of success and successful people is that they constantly seek out guidance and advice from experts in their field. You can do the same and find great partners and mentors. Set aside some time and make a list of the people you would like to ask to mentor you. Then approach them and ask for their help. Be prepared to give your mentors something in return. Even if it’s something simple such as keeping them updated on industry information or calling with new opportunities that might benefit them, look for ways to give to your mentors. Help others, too. What a great reward to any mentor—to eventually have their former protégé out in the world mentoring others! Fourth, I have always sincerely cared about the people I serve, sometimes to a fault. But, I truly love people, and I love how I feel when I watch them wake up and successfully apply the principles and strategies I have taught them. I love what I do, and I love the people for whom I do it. I want to leave you with a bit of homework to complete. Make a list of all of the things that make you feel the most joyful and alive. What are the common elements of these experiences? Can you figure out a way to make a living doing those things? Leave a comment below on what brings you the most joy, and I’ll be sure to follow up with you. Remember that successful people maintain a positive focus in life no matter what is going on around them. I’d like to offer you my 12-Month Success Planner. This free gift gives you free fill in the blank templates to tackle challenges and provides you with daily guidelines for success. 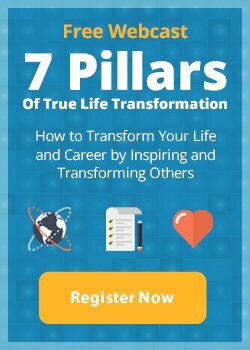 Put this free planner to use to transform your life beyond your wildest dreams!